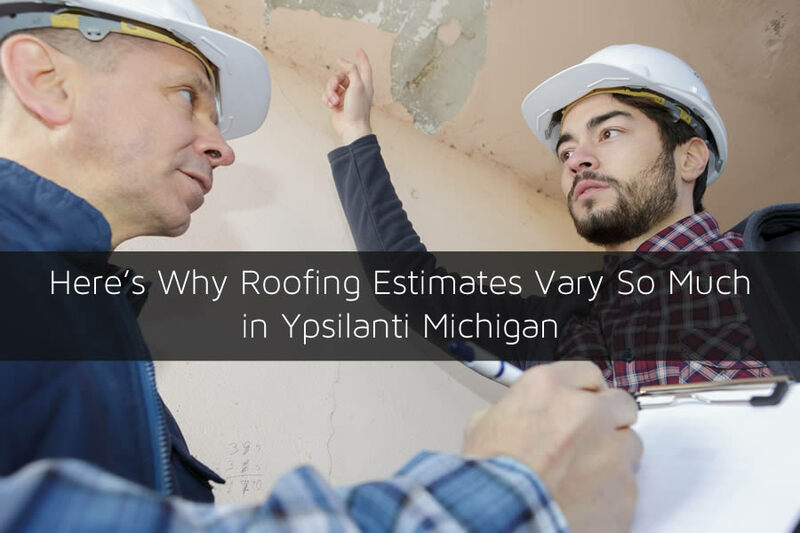 When your roofing starts to fail and you need a roof replacement in Ypsilanti Michigan you can be a bit taken back by the differences in the roofing estimates you get. In fact, the roofing estimates you get for installing a new roof can be different by thousands of dollars. Sometimes comparing roofing estimates can be difficult and it may be a bit hard to understand some of the descriptions and lingo used. I’ll go over some of the major differences in roofing estimates to help you discern just what you get from each estimate. A big problem with most roofing estimates is that they are very vague on details. You may have a section labeled materials then labor but it doesn’t specify what materials or just what labor you’ll be paying for. And with any home improvement estimate you’ll need to keep in mind that it’s just an estimate. Once work begins there could be all sorts of problems that are uncovered that can make the price go up. 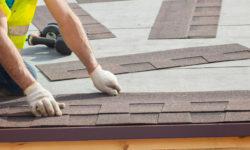 The best way to keep things on budget is to use a fully detailed contract with with roofer in Ypsilanti Michigan that outlines what you’re responsible for as well as the contractor. Asphalt shingle roofing is by far the most popular type of roofing material installed on homes in Ypsilanti Michigan. However, just listing asphalt shingles on the estimate doesn’t give you any idea of the quality of the product or design. There is a major price difference between the best asphalt shingles known as impact resistant shingles and low cost 3 tab shingles. You may be quoted for 3 tab shingles on the estimate and then surprised when the cost of the shingles you actually want is double. You’ll also want to specify a brand of shingles as well such as GAF shingle products. Other differences in the estimate for products installed could be roofing components such as under-layment, roof leak guard, and more. Some estimates will outline all products that are used. Getting the roof installed as quickly as possible when your roof fails is a must. After all, the longer your home goes with a leaky roof the more damage can be done to the home’s interior. All roofing estimates are based on a time frame and an estimate that lasts longer is typically higher priced initially because of fluctuations in product prices. There are several ways asphalt shingle roofing is installed. The first is called a roof over and it simply means a new layer of roofing materials are attached to the previous roof. As you can imagine, when it comes to a roof over it will be much less expensive than it’s counterpart which is completely removing the old roof, inspecting the roofing surface carefully, and then installing a new layer of shingles. This method is known as tear off or shovel off roofing. The cost difference in these two methods can be thousands of dollars because there is much difference. With a roof over, none of the old roof is removed so it cuts down much of the labor costs as well as debris removal costs. While tear off roofing is recommended it’s not always used in the roofing estimate. Make sure the roof installation method is listed on the roofing estimate. Some roofing contractors in Ypsilanti Michigan will list both methods on the estimate and provide pricing for both. Another area you should be concerned with when it comes to product selection for the roof is the warranties and guarantees that are in place for that product. Longer warranties from roofing materials manufacturers usually come with a higher price tag. And being able to determine just how much quality is contained in the roof can usually be determined by the length of the warranty. 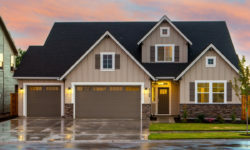 If you need a new roof on your home in Ypsilanti Michigan be sure to call one of the best roofers in Ypsilanti Michigan which is Ypsilanti Roofing Company. They offer free estimates on roofing projects and will help to answer your questions about your new roof. Call them today at 734-291-0165.